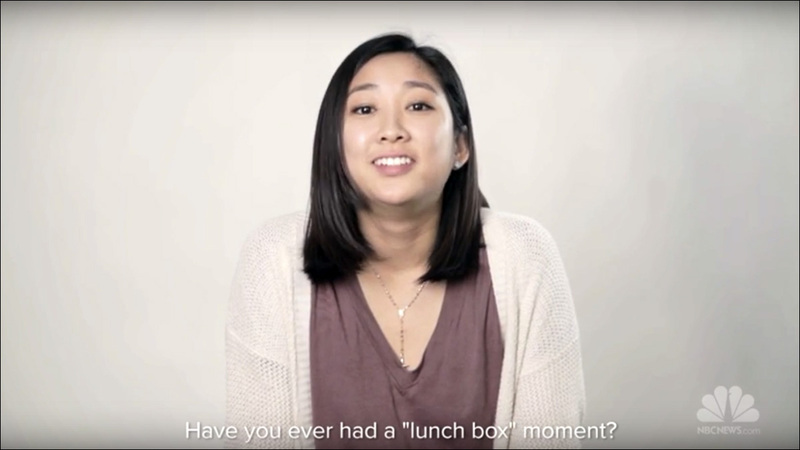 Have you ever had a "lunch box" moment? Jubilee Project: Voices is a five-episode digital series collaboration between The Jubilee Project and NBC Asian America. In each installment, they gather Asian Americans to answer a single question, with the hopes of sparking conversation and encouraging others to share their stories too. People, can you relate? I wish I go back in time to the first grade, to that cafeteria lunch table at Northwood Elementary School, and tell off those kids who made fun of my "gross" lunch. My mom's food is awesome!